“The poverty percentages were 25.8% in 2011 while it increased by 13.2% in 2017 to reach 29.2% of individuals were below poverty line. Deep poverty percentages also increased in 2017, as it was 12.9% in 2011 and it increased to 16.8% in 2017 with an increase by 30.2%,” the report cited, according to the PNN. According to the official PCBS website, this increase in percentages was mainly because of the sharp increase in poverty in the Gaza Strip. “It is worth mentioning that the situation of level of living in Gaza Strip became worse than it was in 2011. Poverty among individuals in Gaza Strip was 38.8% in 2011 while it jumped to 53.0% in 2017 with 37% increase. In West Bank, the situation was different, as the poverty percentages decreased from 17.8% in 2011 to 13.9% in 2017 with about 22.0% decrease. 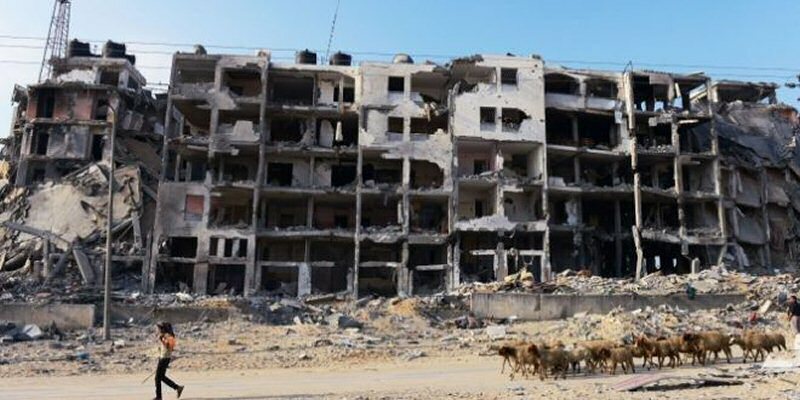 “The significant increase in poverty indicators in Gaza Strip was the cause of the increase in poverty indicators on the national level,” the report added. On a related note, the report said that the monthly average of per capita expenditure in Palestine was 169.5 JDs (220.1 JDs in the West Bank, and 91.2 JDs in Gaza Strip), showing an increase between 2011 – 2017, around 31% of which was spent on food (29.1% in the West Bank, and 35.7% in Gaza Strip), followed by the percentage of per capita expenditure on transport and communications by 18.5%, and 8.7% on housing, and the lowest percentage of expenditure was on recreation group by 1.5%, and second lowest percentage was on personal care group by 2.1% in Palestine. The first group was housing, its share of expenditure decreased in the West Bank from 8.7% to 8.4%, while it increased in Gaza Strip from 8.9% to 9.8%, and remained the same on national level of 8.7% in 2017. The second was the medical group, where its share decreased in the West Bank from 3.8% to 3.4%, while in Gaza Strip there was an increase from 3.3% to 4.0%, and on the national level the share of medical care decreased from 3.7% in 2011 to 3.5% in 2017. The third group was the non consumption expenditure group, which includes: gifts, loans interests, social insurance; the share of this group increased in the West Bank, but decreased in Gaza Strip, and it increased on the national level from 5.2% in 2011 to 6.2% in 2017.